Did you know that over eleven million adults and children will go to summer camp this year? But how did they know what summer camp to pick? There are so many summer camps to choose from and not enough time! With only 30 days left until the first day of summer camp at Camp Shohola, time is running out. But don’t worry, we have some questions for you to ask when picking a summer camp near Washington DC for your son. Overnight or Day Camp? One of the most important questions to consider when picking out a summer camp is the type of camp. Are you interested in an overnight or day camp for your son? Not everyone likes the idea of staying multiple nights away from home, so ask your son what he’s interested in. The benefits of both overnight and day camps are endless, and no matter which you ultimately decide on, summer camp in general is great for children. What will my son do at summer camp? Once you’ve decided on the type of camp, look at the summer camp activitiesthat are offered. If your son is interested in participating in a specific sport or program this summer, make sure that the summer camp offers it. Camp Shohola offers an extensive selection of activities for campers to choose from. There are land sports, water sports, outdoor adventures, equestrian, communication & technology, and art available. Look at what a typical day at summer camp looks like and how much say your son will have in his schedule. What is it going to cost? This is probably every parent’s least favorite part. The cost of summer camp can be expensive. But the important part to remember is that summer camp is an investment in your son’s future. Your son will gain confidence, skills, and independence that is hard to get anywhere else. Plus, summer camp tuition usually goes towards improving the camp to make it even more fun next summer! 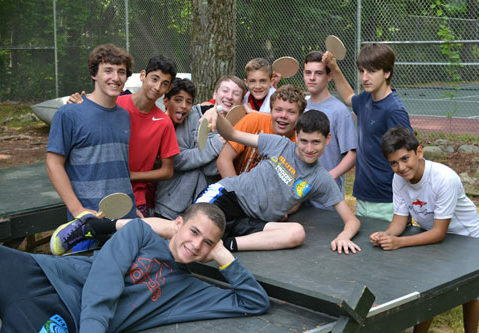 Camp Shohola is the best summer camp near Washington DC for boys ages 7-16. To learn more or to schedule a tour, contact us at (570)-371-4760!